Marc Jacob's first line of menswear was in 1994, and since that time his name has grown like wildfire within the fashion community. 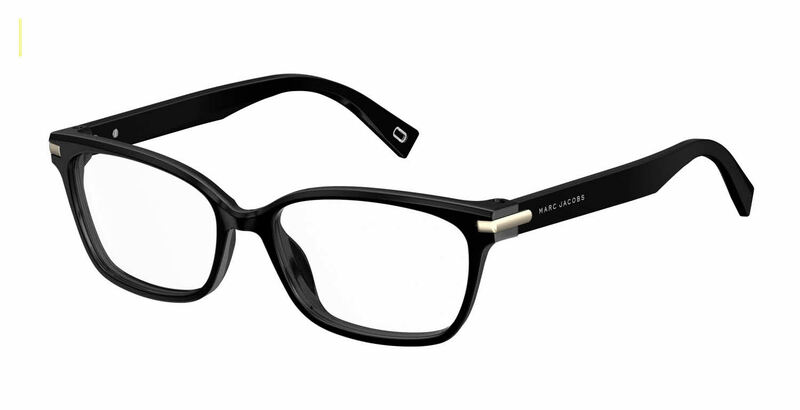 Marc Jacobs brand eyeglasses are uniquely recognizable by the iconic detailing accents inspired by the apparel, handbags, and accessories within the Marc Jacobs clothing lines. The Marc Jacobs glasses collection is full of boldly vintage styles. From rectangles and semi-rimless styles to cat-eyes with unique temple detailing, Marc Jacobs has glasses to complement any face. The collection has a hugely varied and diverse array of styles that will suit the individual tastes of any person looking to make a statement. Marc Jacobs Marc 190 is a Full Rim frame for Women, which is made of Acetate Plastic Front and Metal Temples. Marc Jacobs Marc 190 Eyeglasses come with a cleaning cloth and protective carrying case. These glasses are so cute & stylish! I've gotten a lot of compliments.